SolKine- A New, Natural Sunscreen Made on Maui! It’s been a while since I’ve posted anything here, since when I have paying clients this ‘fun’ blog gets back-burner status, but when I saw a post about this new made-on-Maui natural and reef-friendly sunscreen, I just had to interview them! Maui Made: How did you get the idea for your company? Maja: I had been making beauty products for as long as I can remember. From sugar scrubs with fragrant essential oils to even soap made from rendered pork fat, I have always been someone whose mind is always thinking about how I can elevate a product or food and make it better. I am also a private chef so I am comfortable manipulating ingredient ratios to achieve a beneficial result. I had been making sunscreen for four years for my own family and had been sharing it with various moms on the beaches. With some encouragement and the help of my awesome packaging, branding and website designer, SolKine got a “look” and a following as we promote and share our product with tons of north shore groms and their families. MM: What are the difficulties of running a business on Maui? ML: Shipping costs!!! Getting materials here is a huge annoyance- nothing comes cheap to Maui and it takes forever!! 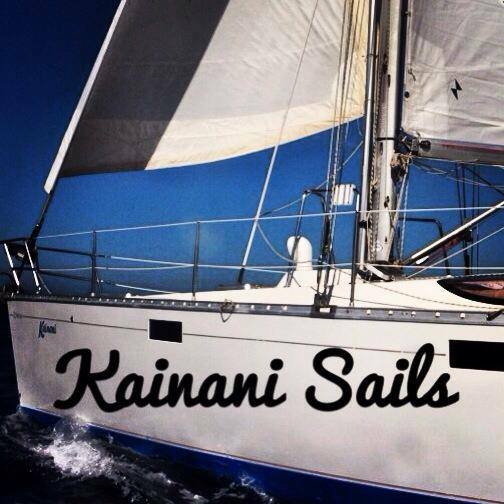 MM: What are the best parts of running a business on Maui? ML: We get to live in paradise AND have a successful business plus every person on the island desperately needs a reef safe suncare product. MM: What’s next for your company? ML: We opened a bay area headquarters and are excited to start getting product to the west coast and the eastern seaboard and beyond! We are also launching a high alpine product “SolKine Alpine” as the original recipe of this product was inspired by the harshest of elements while my family and I lived in the high rockies at 9000ft elevation. MM: Where can people buy your product? ML: Right now, our e-commerce site is awesome as well as its available at Hi-Tech, Sailboards Maui, Mana Foods and Paia Pit Stop. We are adding new retailers weekly so check our website to see where else we are selling! Mahalo to Maja for taking the time to give us an interview! 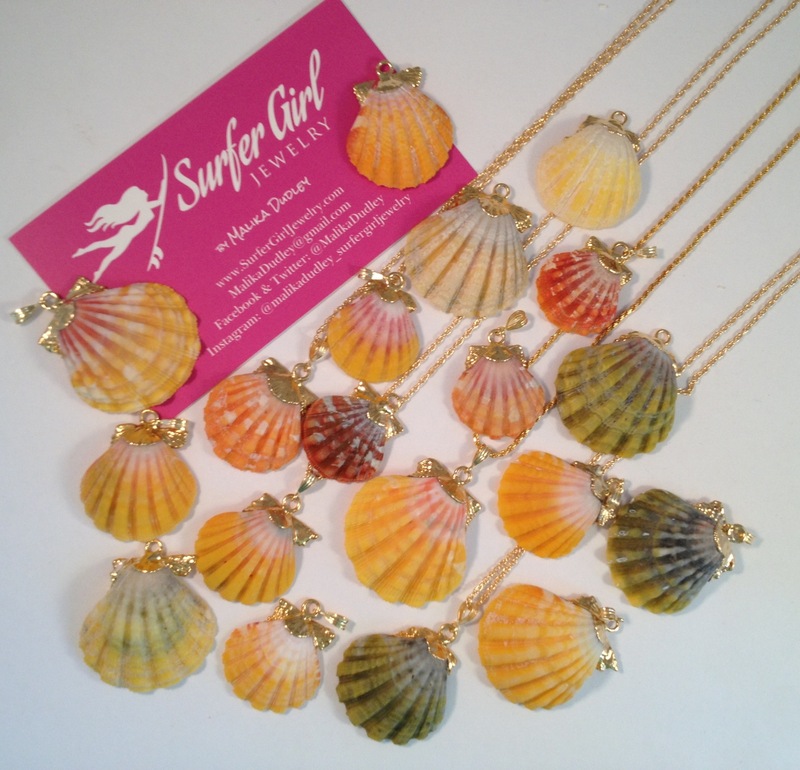 Makawao Update + DRIFTWOOD’s Grand Opening! 2016 Update: I’m hoping to head up to Makawao to scope out all the new stores and coffee shops, but wanted to mention that one of the owners of the beloved brand Queen Bee Productions has just opened her own salon in Makawao, The Honey House, featuring waxing, facials and more! Located just about Droplets., across the street from Casanova. You know something special is happening when driftwood washes ashore and makes it all the way up the hill to Makawao. And you know it’s something extra special when that DRIFTWOOD turns out to be a brand new boutique by the force behind Paragon Salon, Carrie Gebb. The women’s and home goods shop enjoyed its soft opening on April 30, but the official grand opening will be Sunday, May 3 with 10% off purchases and fun surprises all day. 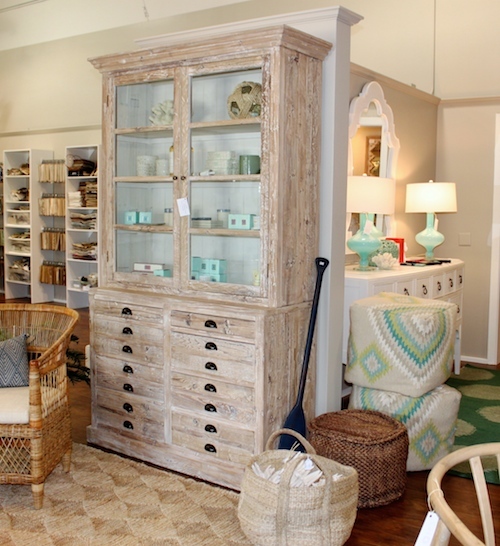 According to their website, “DRIFTWOOD features carefully curated merchandise for the distinguished buyer, encompassing all that a Maui lifestyle has to offer from the mountain to the sea. We feature women’s clothing and accessories, all-natural beauty products, as well as home goods and edibles.” Their website is worth a look just by itself, with swoon-worthy photographs and an impressive and extensive selection of labels. But I’m not the style expert, if you want to get the scoop from a real fashionista, head on over to mauishopgirl.com to check out her take! 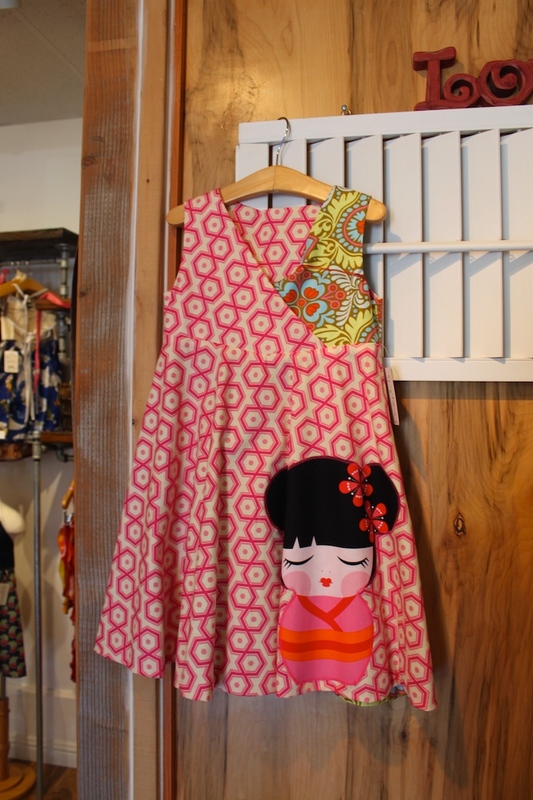 These reversible dresses by SewHiKai are designed to be comfortable, even for girls with sensitivity issues! bitty bambu now available at droplets. Boys shorts – By MamaNuKids – made in Hawaii! SewHIKai Dresses – Available in many different colors and patterns! Next door to droplets., the Julie Galeeva gallery moved into a smaller space, and Kama Lei Design jewels moved in. And speaking of art galleries, after several years, Kirsten Bunney closed down her gallery, but I believe you can still contact her about purchasing art through her website. In the former gallery’s place is now Crystal Harmonics (you may have also seen them on Kauai), with some amazing ‘singing’ crystal bowls! According to the owners, who also offer sound healing, “the singing alchemy bowls are made of the highest grade pure crystal quartz blended with gemstones or other mineral elements. The sine waves of their sound are clear, consistent and sustained and amplify the essence of the minerals as well as expressing their note.” You have to check this place out – you have to HEAR it to believe it, or they have some samples to listen on their website! In the building just behind Crystal Harmonics, Vanity Salon has been sold and renamed Jewel Salon, but if you are looking for any of the Vanity ladies, Jeffie is now at Haleakala Hair Lounge, (right above DRIFTWOOD), Sara and Trisha are at Beauty Bar in Wailuku, and Kourtney is at Salon Tiare in Haiku. And another cute store that’s new-ish to Makawao is the ‘brother’ store to Pink by Nature – Homme by Nature, which has things for men (get it? Homme means man in French) and home (and some cute kids stuff too). What’s your favorite place to check out in Makawao? 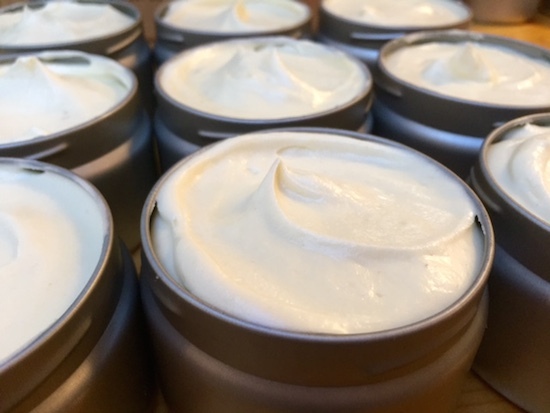 Kiss the Sky – A New Organic Skin Care Line! I like yummy smelling soap and lotions. But who doesn’t. Especially on Maui, it seems like everyone is making bath and body products these days, with delicious fresh and floral scents, but when something special catches my *nose*, I take note. 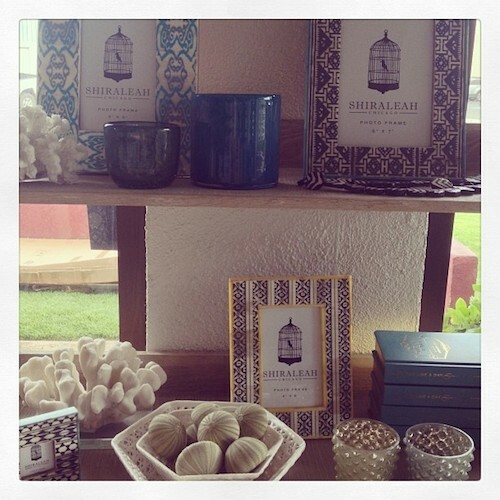 At one of my favorite gift shops on the island, the Hui Noeau, I was doing my usually ‘smelling of the soap’ when the sweet packaging and amazing cocoa butter fragrance of the Kiss the Sky caught my attention. I recently caught up with the owner of Kiss the Sky, Alyson Gaioni, to hear more about her delicious new line. 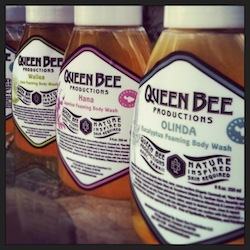 Maui Made: How did you get into the bath and body business? Alyson Gaioni: My love for herbalism and plants grew out of a passion for self empowerment. About ten years ago I started on a journey to learn the best way to keep myself healthy and happy while also respecting my environment and keeping that healthy and happy too. I ended up finding myself at a little herbal school in Boulder, CO with a rigorous curriculum where I became certified as a Clinical Herbalist. I am consistently blown away by the simplicity of the healing power the botanical world offers. Just by learning about a few plants it is possible to take care of yourself and create products that are tailored to your exact needs. It was exciting to discover I could take that knowledge and expand it into beauty products. 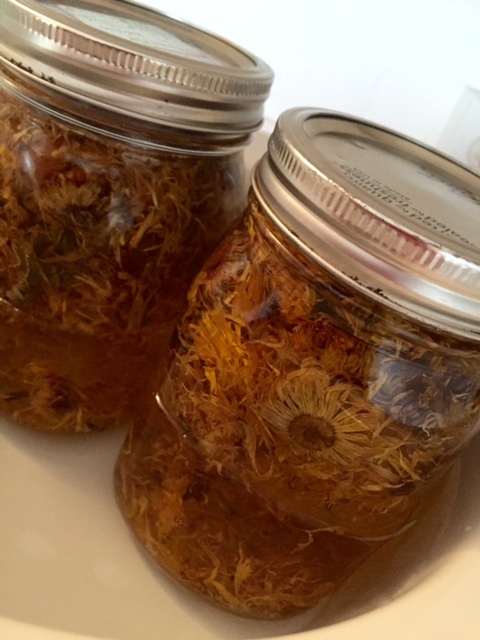 I started creating fun and pretty recipes that also heal and nourish the body. After some years of experimenting and playing around I decided I wanted to share my creations and show people that beauty doesn’t have to come with a cost to your health or the environment. That’s when I started Kiss the Sky. MM: Is this a full-time job for you? AG: Currently it is my part time job and full time passion. AG: I am a culmination of the New York girl who slowly made her way west via the Rocky Mountains and ended up on this magical island 2.5 years ago. I have followed my heart through many different places and occupations and have found a beautiful life here. I love playing the alchemist in my spare time and my kitchen can sometimes resemble a witches den. I am constantly researching, learning and experimenting. MM: What is the good and the bad about having a company on Maui? When I first moved to Maui I was nervous about the idea of finding a job that could support me (we all know this island can be expensive). But I have come to realize that the lack of jobs has inspired many people to become entrepreneurs. This has generated a very supportive community for people starting their own small businesses – from free consulting to farmers markets and stores that are willing to carry local products. One difficultly that I have run into, however, is the cost of shipping. It is very expensive if any of your ingredients need to be imported. MM: Where can people find your products? AG: Currently I am selling my complete product line on my website www.kisstheskyorganics.com and Etsy Store “KissTheSkyOrganics”. They can also be found in the Hui No’eau in Makawao and Mana Foods in Paia. MM: What’s next for your Kiss the Sky? AG: So much! I have a new line of mineral eye shadows coming out in the next month to be followed by more mineral make up products. I will soon be selling my lip glosses in a liquid applicator tube as well. After that I am contemplating a botanical baby care line. 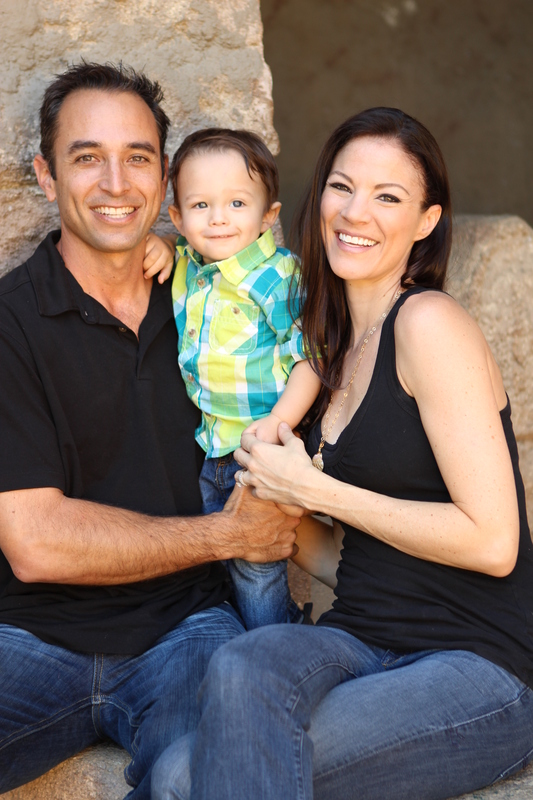 HUGE MAHALO to Alyson for taking the time to share her story! Maui is a world-class destination for a lot of things, but shopping? Not so much. 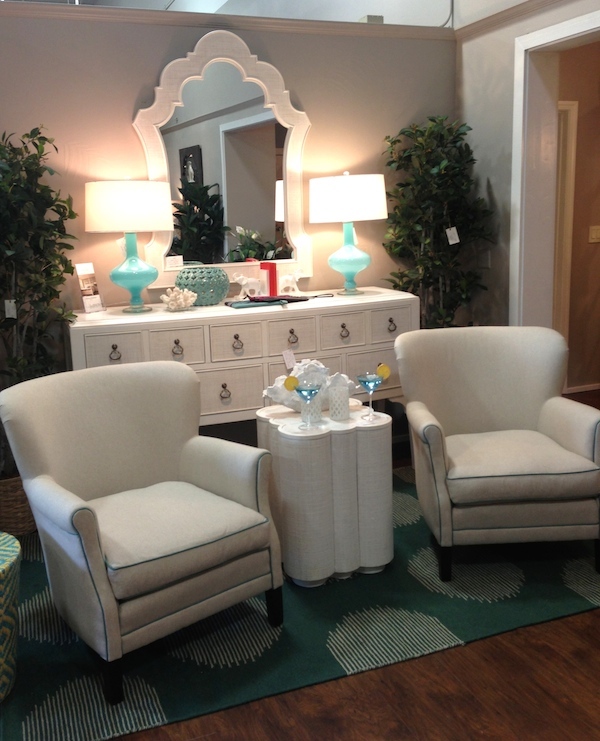 Sure we have cute little boutiques, and bikini shopping that is noteworthy, but for anything for the home, choices have been pretty limited – that was, until two talented young interior designers saw this void, and have been filling it, with gorgeous pillows, comfy yet stylish couches, handy hostess gifts and much more! Wendy Takemoto and Jessica Guard McLellan decided to open up HUE, a furniture and lifestyle store, and the results? Well, they’ve been stunning. “We were designers before we were in retail, and it was never possible to find pieces in our style on-island,” Jessica explained. “We knew other people must also be feeling that need. 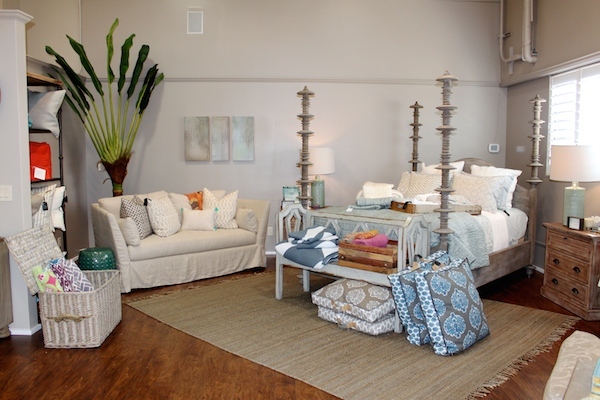 So we thought rather than ordering from mainland stores, why not open our own?” And Maui shoppers heartily agreed, voting them Best New Business in 2013 and Best Home Furnishings in 2014 in the Maui Time Weekly’s Best of Maui readers’ poll. 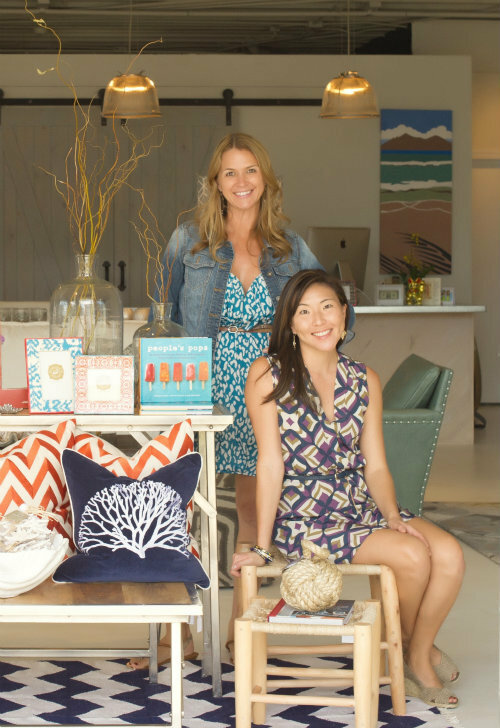 In 2012, Wendy and Jessica opened HUE at their original retail and design space on Kahului’s Lalo Avenue. Not quite two years later, with a good idea of what island shoppers were looking for, Wendy and Jessica jumped at the chance to move to a much larger space in an established location. They are now located at the former Latitudes, as the anchor for a whole design center, with The Garden, supplying silk flowers, plants and arrangements, by Latitudes’ former purveyors, and Suda Shades, creating custom window treatments. 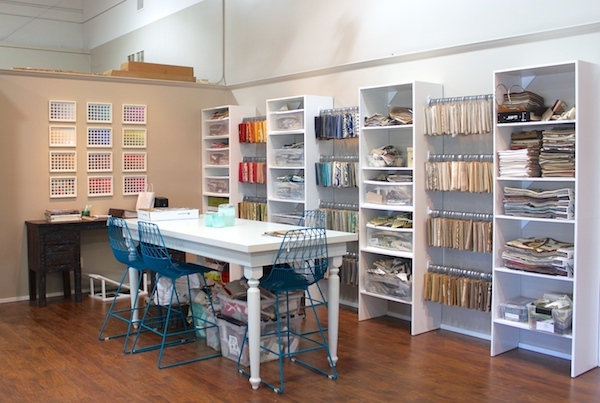 The new location is approximately 5,000 square feet, triple the size of their former location. “Our goal is to have the island’s premiere home and lifestyle shop, and this new space brings us one step closer. We now can present an even wider range of carefully curated home and gift items” Jessica continued. HUE is still Maui’s exclusive dealer for Lee Industries’ furniture, they have added a few new luxury furniture lines, including Lexington and Palecek, and have brought in some more affordable options as well. HUE is constantly adding to their inventory to offer fresh pieces for shoppers, with containers arriving monthly, and smaller shipments arriving even more frequently. In addition to offering what’s trending across the country, HUE offers many locally made items including bags by True Story Company and Tiger Lily, compass watches by Pandeia, body products by Queen Bee Productions, jewelry by Kachi, Sophie Grace Maui, Jasmine Honey Designs and Salty Luxe Hawaii, pillows by BlueJane Maui, and eco-friendly wrapping paper by Wrappily. Featured Maui-based artists include Abigail Romanchak, Robert Suzuki and Dane Ward. According to HUE’s Sales and Marketing Manager, Birgitte Golden, giving back to the Maui community is an important part of the business as well. “We sponsor and donate to many non-profit events, and even assist event design, like at the Pacific Cancer Foundation’s Kama’aina Christmas for the past two years. We also participate in other fundraisers, like the Lee Industries’ Lee Loves America campaign, with a portion of sales going to a local non-profit.” Birgitte continued that, “another great aspect of HUE is that it is locally-owned and operated – Aloha is engrained in who we are, and all customers are met with a down-to-earth, no pressure attitude.” All five team members are born and raised in Hawaii. In addition to Wendy, Jessica and Birgitte, the team includes Design Associate Heather Guard and Warehouse Manager Chris Auna. Wendy and Jessica also offer professional services including residential and commercial interior design, kitchen and bath design, architectural computer renderings, and more. Appointments are recommended for design services. And speaking of social media – you can follow HUE here: on Facebook, Pinterest and Instagram. Mahalo to the HUE crew for the interview! Disclaimer: I am a paid consultant for HUE, but the opinions are my own. June 27 Update: Fresh Mint is closing today after 13 years of serving vegetarian Vietnamese cuisine… and tomorrow is the last day to enjoy Paia Bay Coffee (closing at 1pm) – To hear where they are moving next, shoot them an email at paiabaycoffee@gmail.com (we’ll try to keep you posted here too) – and to order their house blend of whole coffee beans, email them at the same. It seems every time I drive through Paia now, something is newly opened or has shuttered its doors. Which is impressive since I drive through Paia a lot. Here is a a refresher of the places that have closed in the last few months or so (and some brand new closures!). Rumor: Nellie’s is rumored be turning into a full service restaurant, but who will be running the restaurant remains a mystery. Truth: Dan and John Cesere opened their first art gallery last week (Cesere Brothers), at the former Paia Contemporary Gallery location, next to Tamara Catz. 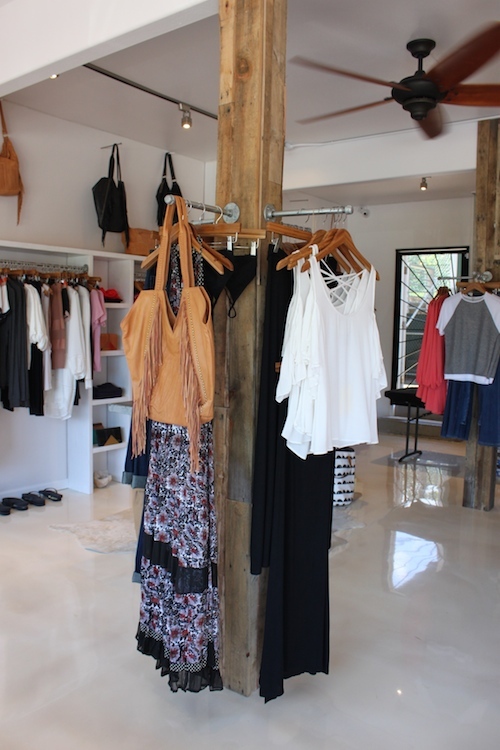 Truth: Yogis in Paia seem to have migrated over to Infusion, ‘Maui’s first Yoga and Barre Studio’, located behind Dazoo and Pearl and run by Trish Bianco. We’ve been hearing good things about it. 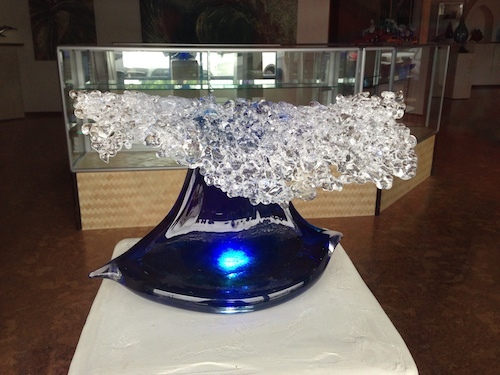 Truth: The artists of Makai Glass have opened Makai Gallery in the former Paia Pharmacy location, also featuring other artists such as Spar Street. Truth: Construction has started in the vacant lot between Milagros and Alice in Hulaland – anyone care to start the rumors on what the building will be? Rumors: are flying around that Paia will soon be home to a sushi joint and a vegan cafe. No confirmation has yet to be received, so I can’t share any more details at this point! Truth: Another fairly new addition to Paia are the headquarters for Hawaii Web Group. This creative web marketing firm is quickly growing and needed more space. Paia was a perfect fit for them because Hawaii Web Group embraces their artistic side. As a ‘support-local’ blog, we appreciate that Hawaii Web Group only hires full time Maui residents with no outsourcing, something rare in that industry. Hawaii Web Group helps Maui businesses reach a larger audience online by creating engaging viral content, which is then promoted via their attractive, high-traffic Maui websites and popular social media profiles. Mūbu is Lumeria’s organic farm-to-table restaurant (breakfast and lunch for hotel guests only). Most ingredients come from Lumeria’s own farm and edible gardens and the remainder comes from within 10 miles of the property. “Our chef always prepares what is freshest for the day, so we do not have a menu as it is prefix every day. If you would like to book with us, please call us to make a reservation at least 24 hours in advance.” Dinner is $40/person for a 3-course meal. Coconut Grove: The Spa’s adjacent coconut grove offers a great place for peaceful meditation and lounging among the tall coconut palms that offer delicious, fresh coconut water and flesh, harvested for the Spa’s use. 5 indoor crystal spa shalas– Each uniquely decorated spa cottage, housing crystal clusters, geodes and spheres that offer beautiful energy that can transform the spirit, inspire intuitive insight, guards against negative vibrations, and smooth’s the energy flows of spirit and body. Janta Lounge (musical journey) – The spa invites you to arrive one hour prior your spa treatment and partake in the relaxing Janta Lounge, a world infused with the sounds of harmony and healing. Seat and listen the vibrational harmonics embedded into a custom musical journey, which are then combined with multi-dimensional sounds of nature and the pure tones of silicon crystal bowls. The Musical Journey is complimentary to all Lumeria Crystal Spa Guests. Ladies and Gentlemen Dressing Rooms: Designed to offer the best start and end to your spa experience with individual changing areas to ensure maximum privacy. Color & Aromatherapy Shower: This watercolor experience is designed to shower you in relaxing sensations and to improve your overall health and well- being. Shining different colors of light thru a water rain on the skin has tremendous health benefits. Crystal energy sauna: We offer an intimate and private experience with our small wooden sauna room designed as a place to experience dry heat sessions with infused aromatic crystals. The high heat makes the bathers detox, relax and balance. Mother’s Day Gift Guide and Makeover Giveaway! Normally for these Gift Guides I’ll spend a little time shopping around, but for this guide I decided to check with the experts. I interviewed some of Maui’s busiest (and most successful!) moms to see what THEY were eyeing for Mother’s Day. We’re also announcing a Mommy Makeover Giveaway! 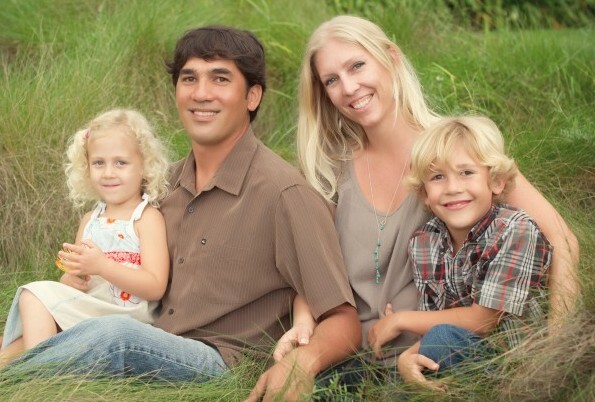 MeiLi Autumn, of MeiLi Autumn Beauty, is giving away a Makeover session to one lucky Maui mommy! The winner will be picked on Mother’s Day! 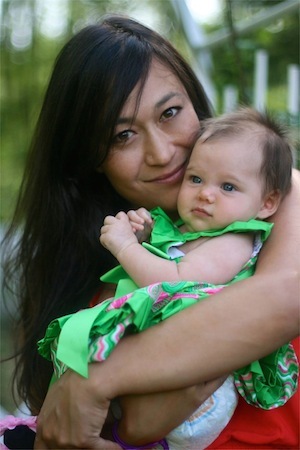 “Since becoming a mom 14 months ago, I’ve noticed my beauty regime has pretty much gone out the window,” MeiLi shared. “Most days I’m lucky to have my teeth brushed let alone a full face of makeup, perfectly blow dried hair, and a (clean) matching ensemble. For Mother’s Day, I’d love to extend a gift to one lucky Maui mama to help her feel as beautiful as she really is. You give so much to your child, your spouse, your job and obligations. It is easy to neglect yourself and go weeks, months even without doing something 100% for you! This is your chance. I’m offering a full-on beauty makeover to help one special mama look and feel her very best. Whether it’s a date night with the hubby, family pictures, or just a fun night out with the girls, this makeover will put a little sparkle and glamour in her life. Maui Made Gift Suggestion: Don’t kid yourself, getting darling outfits for your kids is just as much fun for you – check out Taryn’s entire line on her Etsy page, we picked out this beauty, since the model is Taryn’s daughter Teya! 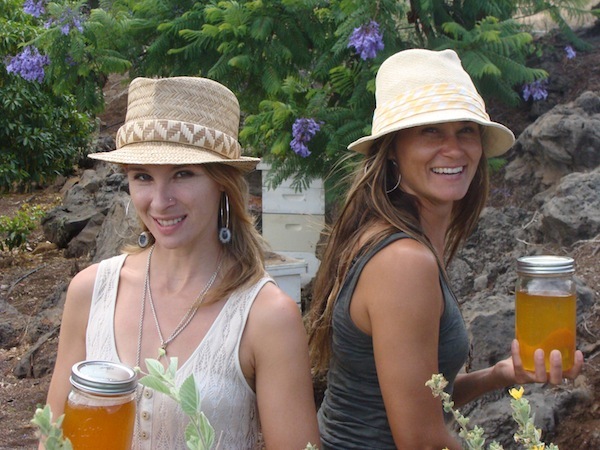 Maui Made Gift Suggestion: Any mom would love a trip to the Alii Kula Lavender Farm, enjoying a lavender scone and lemonade, or some luscious body products to take home! Tiare loves going out to breakfast with her 19 year old son, Kai. “He recently graduated from Seabury Hall and will attend UH Manoa in the fall, so before he leaves I’d love a beach day with him. We enjoy breakfasts at Market Fresh Bistro, Makawao or (2)Cafe des Amis in Paia. I’d love some new beachwear, like this new suit by (3)indie attire, I can just see myself wearing it, sipping coconut juice under a large brim hat. I can’t wait for lots of water time this summer! Wendy’s wish for Mother’s Day is for her husband to remember about the holiday! “He’s from South Africa, so its very possible for it to go right over his head. But, if he does remember, I want him to take me to a restaurant where he actually had to call ahead and make a reservation, like (2)Mama’s Fish House. From my son, I would like a Mother’s Day edition of the Montessori of Maui (3)macaroni necklace.” When she’s not busy at HUE, Wendy likes to spend time with her family at the beach or camping. Four year old Luke is a budding artist as well. “I LOVE watching him draw pictures. He draws and narrates stories of shooter-fire-wheels-with-fuzzybees-and-sharks! Maui Made Gift Suggestion: HUE has lots of great new frames in stock… you can never go wrong with a great family photo in a cute frame! DISCOUNT OFFER: Mention this blog post for 15% off of your purchase from now through May 10th. 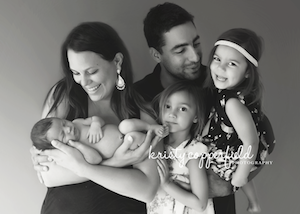 Sara Smith is the founder of Wrappily, a new eco-friendly line of wrapping paper, the managing editor of Edible Hawaiian Islands Magazine, and mom to Esta and Odin. “My daughter Esta, 5, and I have started snorkeling together, which thrills me beyond belief. And since my son Odin, 3, and I are often the first ones up, we often collaborate on a Lego project or coloring a masterpiece. I cherish those moments. For Mother’s Day, though, if I am being completely honest, I’d love to sit uninterrupted on a quiet beach, perhaps thumb through a magazine or just take the time to listen to my thoughts. Going surfing with the family would be a close second, ideally in a cute new bikini from Letarte or (1)Otaheite (in photo, an Acacia design- carried at Otaheite). If there was a pair of Jasmine Honey earrings to match, well that’d be swell. Squeezing in time for a raw pie from (2)Maui Kombucha or a tamarind/ calamansi shave ice from (3)Ululani’s would top off the day perfectly. Maui Made Suggestion: Wrappily is just released the new Lucky We Live Hawaii paper collection—cute stuff! 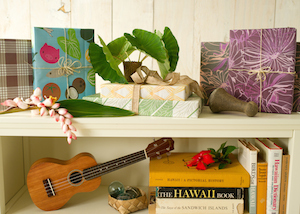 They are also offering a “Wrap it up for Mom” promo, with a free gift topper with purchase of wrapping paper at participating Maui retailers, including Hue, Holiday & Co. in Makawao and Pearl in Paia, while supplies last. Happy Mother’s Day to all the mommies out there – I hope you all get EXACTLY what you wish for this year, and a HUGE MAHALO to everyone who let me interview them for this piece! 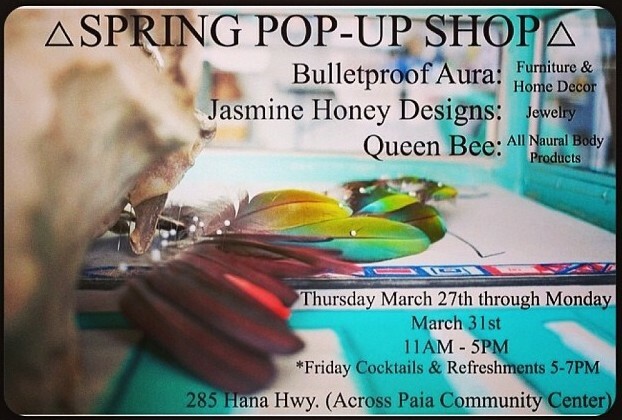 Paia Pop-Up Shop Happening this Weekend! Check out some of Maui’s most unique, locally made items this weekend at the former Pearl location (across from the Paia Community Center) – with repurposed, refurbishes and creative furniture by BulletproofAura, gems and jewelry by Jasmine Honey Designs and some sweet honey loving from Queen Bee Productions. Who: Open to the public! Cocktails on Friday from 5-7pm!